With spring in full swing, it is an APEtastic time to venture to Brookfield Zoo’s Tropic World on Saturday, April 8, from 10:00 a.m. to 5:30 p.m. and Sunday, April 9, from 10:00 a.m. to 3:30 p.m. That’s when the annual Ape Awareness Weekend celebration highlights the zoo’s three ape species: western lowland gorillas, orangutans, and white-cheeked gibbons. Throughout the weekend, guests can participate in interactive, ape-related activities such as comparing their own weight, arm length, and hand size with those of an orangutan and gorilla or building apelike nests using paper and wheelbarrows. The exhibit will be full of visuals, including the types of food apes eat and items that are used for training the animals to participate in their own health care. On both Saturday and Sunday, zoogoers can also attend special Zoo Chats throughout Tropic World to learn more about ape populations, the dangers they face in the wild, and what can be done to help them. 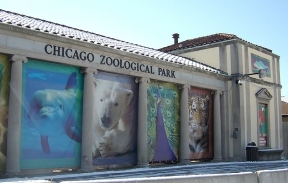 Brookfield Zoo is located at 8400 31st Street in Brookfield. Admission to the zoo is $19.85 for adults and $14.50 for children 3 to 11 and seniors 65 and over. Children 2 and under are admitted free. Parking is $12. 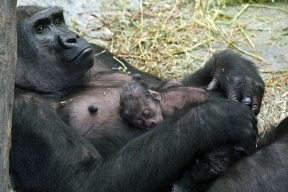 For more information about Ape Awareness Weekend at Brookfield Zoo, visit CZS.org/Events or call (708) 688-8000.